Lough Erne, in the north west corner of Ireland is comprised of two large lakes with Enniskillen the main town situated on an island separating Upper and Lower lough which flows into the sea at Ballyshannon in Donegal. With the re-opening of the 16 descending locks at Belturbet it now links the River Shannon, making it the longest navigable waterway in Europe from which you can cruise / paddle / fish / swim or ramble all the way down to Limerick via Lough Ree and Lough Derg and on out into the Atlantic at the Shannon Estuary or you can branch off at Tarmonbarry and follow the inland waterway route up through the canals as far as Dublin. Lough Erne itself is some 60 miles long and 7 miles wide with 129 islands, 35 of which are inhabited but only 6 full time. It’s not just his and hers cars up in County Fermanagh it is his and hers boats! Which is what attracted the American Marines to set up a flying boat base here during WW2, an unspoken and little known or approved agreement with the Irish government at the time who were supposed to be neutral allowed the Americans to use the Donegal Corridor, a kind of free airspace to access the North Atlantic and Europe. Flying boat cadets (who were given one months training !) 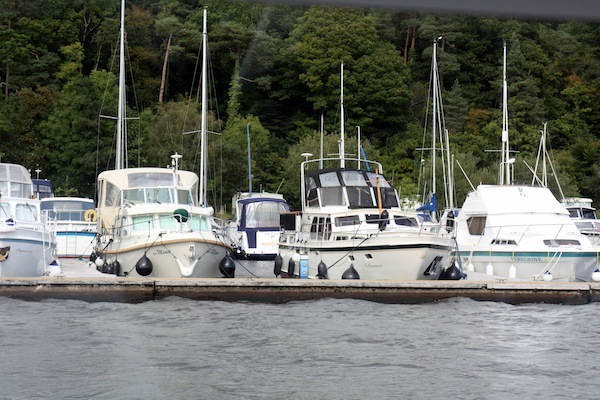 were based at Castle Archdale, and it was from there that a seaplane famously spotted the Bismarck which was later sunk . 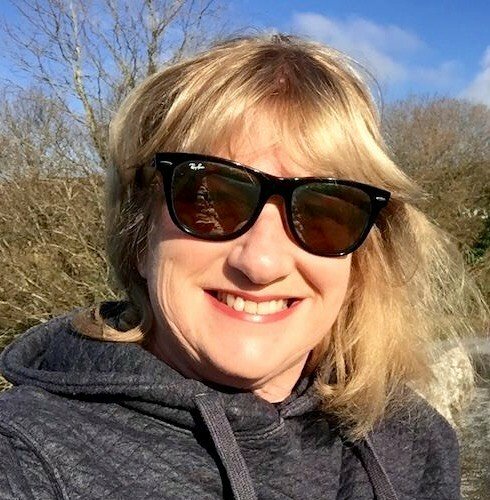 It is now a wild life reserve and park that has an exhibition in their honour, it must have been some sight to see all of those seaplanes land and take off from Lough Erne back then. And while sadly there were obviously casualties, some 70 marines are buried in the graveyard at Irvinestown, they also seemed to enjoy mixing with the locals and sailing and swimming in the lakes. 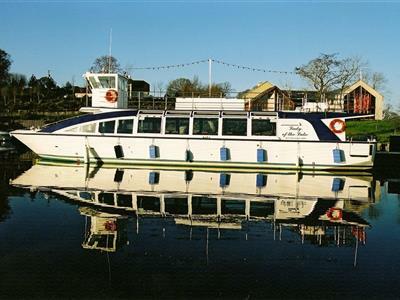 Castle Archdale is open year round, and while you can visit Boa Island by road the best way to see and appreciate Lough Erne is to take a cruise on the Lady of the Lake a stable flat bottomed pleasure cruiser from Inishclare jetty. Captain Frank is an extremely knowledgeable guide to Lough Erne, its flora fauna and history and not at all shy of a bit of name dropping re his famous passengers. For more information Boa Island please click here. 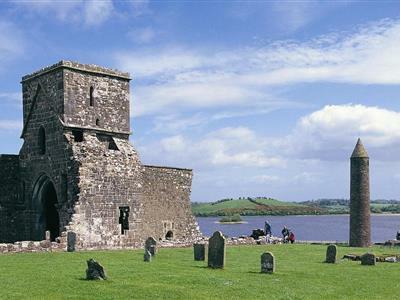 For more information about Things to Do and See in Fermanagh please click here. For more information about the Flying Boat Museum in Foynes please click here.